The folks at Special Olympics did such an awesome job promoting their 50th anniversary that the anniversary logo even made its way onto a United Airlines international cocktail napkin! This organization has transformed and enriched so many lives. Indeed, the first corporate history we wrote was for Phoenix Home Life Insurance, which credited its sponsorship of the Games for helping to meld two diverse organizations after a merger. Our work for Melwood and Clinton County ARC, both of which serve adults with intellectual disabilities, further alerted us to the power of Special Olympics. 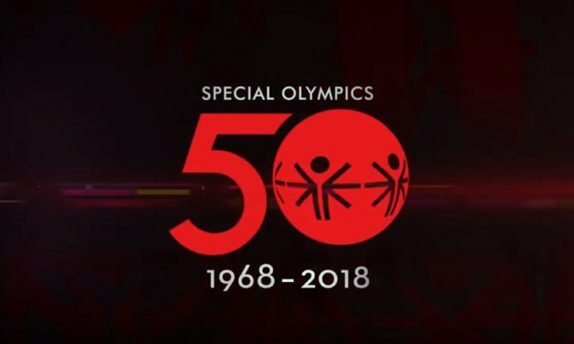 Here’s how the organization celebrated the #InclusionRevolution (such a great hashtag): “With a week of exciting events that celebrated the first 50 years of Special Olympics and launched the movement into the future . . . including the first-ever Special Olympics Unified Cup; a star-studded Global Day of Inclusion; a Law Enforcement Torch Run Commemorative Run; a ceremonial lighting of the Special Olympics Eternal Flame of Hope, which symbolized our burning passion for inclusion and justice for people with intellectual disabilities,” a call to share individual stories and oral histories, and a scriptless YouTube video.